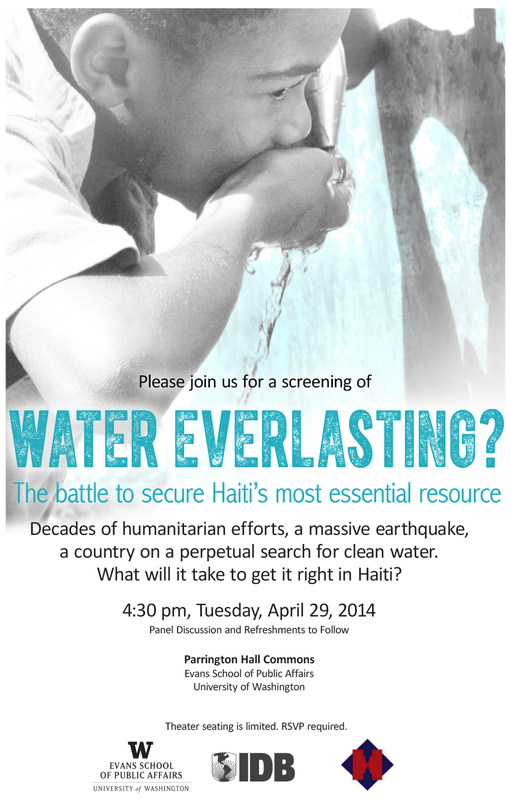 For decades, aid groups have traveled to Haiti to donate wells, tanks, and water purification machines. But these efforts often fail because of poor management and maintenance. 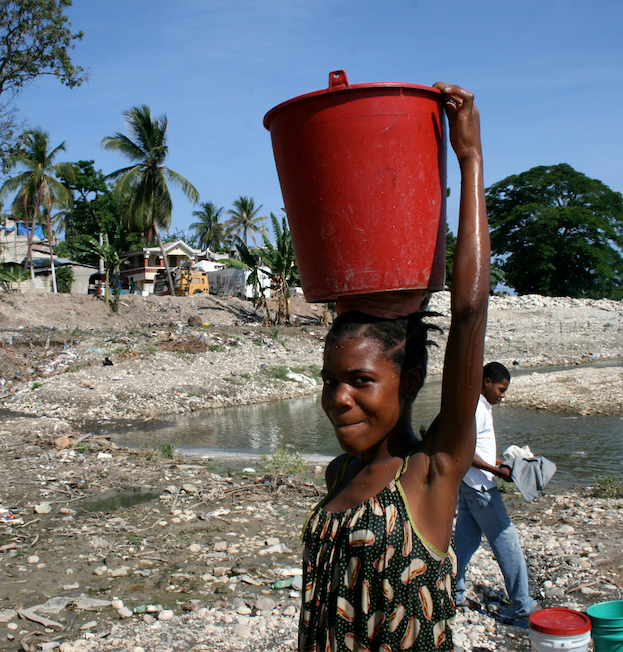 Today, nearly 70 percent of Haitians still lack access to clean water. This story is different. It’s about Haitians and foreigners working together to design a lasting solution, a public one, built, run and paid for by the Haitians. And so begins “Water Everlasting?” a new documentary film from the Inter-American Development Bank written and produced by a long-time friend, Julienne Gage, a journalist now working in the External Relations department at the IDB. What I really like about this film is that it isn’t a typical PR piece full of overhyped optimism and high sounding academic verbiage about aid and development. It reminds me a bit of some of my favorite courses at the Harvard Kennedy School where I studied public administration in international development. While the theoretical stuff was great and the economic modeling was useful (well, not so much), of greater lasting and practical importance were case studies and courses like “Management of Development Assistant Projects” and “Operations Management”. Poor management can undermine great theory any day. Million dollar projects, like the one discussed in the film, can run aground because they can’t get the last $30,000 dispersed! Good development work of course requires good theory, but most projects fail or succeed because of the mundane questions. How do you build and motivate a workforce under extreme resource constraints? How can a public service provider build a culture of trust and accountability with its customers? How do get people to start paying for water when 70% of the water produced isn’t paid for right now? Should the utility rent vehicles or buy them? Unless you’ve been in the field, doing this sort of work, it isn’t likely you’d associate these questions as critical to providing clean water to people, to reducing waterborne diseases, or facilitating economic growth. So, when I was asked by the IDB if I’d be willing to moderate a panel of experts and audience at the University of Washington to screen and discuss the film, I was quite pleased to say “yes!”. The film brings to the surface so many great questions about development projects and public service provision: Why do so many aid projects take so long and cost so much, yet deliver so little? What are the appropriate roles of the government, the private sector, and the NGO community in delivering public services? What does institutional capacity building really mean? Should the poor pay for water if it is a human right? 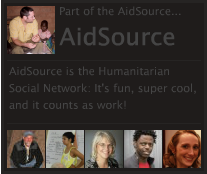 Should services be provided by public utilities or private companies…or the aid community, or NGOs? If you are in the Seattle area, I want to invite you to the Evans School of Public Affairs at the University of Washington to watch this short 25-minute film and discuss it along with Julienne Gage, the writer and producer, and a panel of four experts. The event is free, but space is a bit limited and an RSVP is appreciated. Check out the trailer below as well as information about the panelists. Share with your friends and colleagues. Jose Irigoyen is the country coordinator for the Haiti Country Department, which was established to coordinate the IDB’s response to the January 2010 earthquake. He has been working at the IDB for 9 years. Prior to his post with the Haiti Department, he served as IDB liaison for the Mesoamerica Project, a regional integration initiative comprising Mexico, Central America, and Colombia. A citizen of Argentina, Irigoyen received a bachelor’s degree in economics from the Universidad de San Andres, Argentina, and a master of science in economics and finance from the Universidad Navarra, Spain. Joe Cook is an Associate Professor at UW’s Evans School of Public Affairs. His research uses tools from economics to inform environmental and health policy in economically developing countries. His focus is primarily on water and sanitation policy, water resources management, stated preference methods, and vaccine policy. Current research projects study the impact on intra-household time allocation of providing convenient water access in rural Ethiopia and the barriers to the use of water markets in coping with drought in the Yakima basin of Washington state. Past research has included private demand for vaccines against cholera and typhoid using stated preference methodologies, doing extensive fieldwork in India, Vietnam, and Mozambique. Cook holds a Ph.D. and MS in environmental management and policy from the University of North Carolina, Chapel Hill. He also holds a BS in natural resources from Cornell University. Herimpitia Estelle Antilahy holds Masters of Economics and has a total of fifteen years experiences in programs and projects management both for the public government, and charitable organization. She developed her expertise in local development, local governance and decentralization process in Madagascar and initiated the first advocacy project on Disaster Risk Reduction related to natural hazards in late 2009, gathering International and National Non-Profit Organization. Her expertise encloses the design, the fundraising and the monitoring and evaluation of local projects and programs. Recently, her works covers three main programs: Food and Nutrition Security, Water Supply and Sanitation, and Disaster Risk Management. During the past five years, she published few articles related to Water Supply and Management, ranging from “Role of Municipalities in water supply and management to integrated management of water resources”. Currently, she holds a yearlong Humphrey scholarship at Evans School of Public Affairs, University of Washington, to pursue her professional development on Public Policy Analysis.